Here we are at the end of 2012, fast approaching the Winter Solstice, December 21, 2012—a time when many traditions and prophecies predict great shift and change on our planet. I’d like to present a positive and uplifting outlook for the upcoming times. It has been my intuitive knowing for quite a while that Dec. 21st will be ushering in an era of increased love and healing for humanity. I’d like to acknowledge, however, that currently our world seems to be divided…with tremendous turmoil occurring on economic and environmental levels. There’s more fragmentation among the peoples of our planet than ever before—politically, socially and spiritually. This is of great concern… and to many, it may seem hopeless—that we are headed toward a place of chaos and downfall… but I must tell you—this is not the way I see it. That is because I know this fragmentation that is occurring can be healed—it can be made whole and we can be One. The solution lies in our being able to realize that there is a Oneness…a singularity that we are all a part of. In order to begin to create this singularity, we need to to work together in a state of cooperation not competition. We need to resonate with the energy of compassion, so that we understand that what affects one of us affects us all. When this happens, those barriers between us that divide us and make us separate vanish, and we begin to not only heal ourselves—we begin to heal our planet. The question is how? From my perspective, the answer is simply that we must begin to awaken as a species by opening our consciousness to higher levels of compassion and cooperation toward ourselves and our planet. Again, the question arises: How can we do this? There are actually many different ways that this can occur through various modalities that can change our consciousness and our awareness. For me, the most powerful and effective way to do this is through the use of healing sounds. 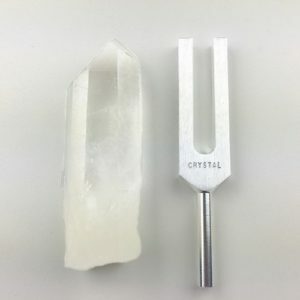 My favorite method of utilizing sound seems to be the most effective of all the modalities I know of for shifting frequencies. This is using intentionalized sound in order to change our own vibrations as well as those of our planet. 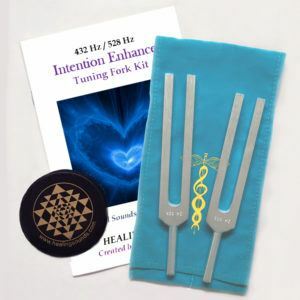 Here, I am talking about making our own self-created sounds—anything from toning an elongated vowel to just humming in order to shift and change the frequency of our nervous system, resonate our chakras and bring our consciousness into higher levels of being. We can learn to use our own sounds individually, or together on a unified, group level to interact and interface, not only with each other, but with the energy of the Earth—what many call the Gaia Matrix—and to help awaken others on our planet to the energies of cooperation and compassion—of singularity and Oneness. I am so pleased that science has shown that one of the most important elements in terms of our ability to affect ourselves and our planet is be able to create a synchronization or coherence of our heart and our brain. By creating this coherence, it appears that our own personal electro-magnetic field can be expanded hundreds or even thousands of times. When we experience this through global prayers and meditations, we connect with the fields of others as well as connecting with the electro-magnetic field of the earth itself. This field then becomes exponentially greater. How extraordinary! A major key with regard to our being able to interface with the energy of our planet is the addition of our own self-created sound! When add the energy of self-created intentionalized sound to this heart/brain coherence, we can amplify our inter-connective field even further. There is a reason that in most traditions throughout our planet, prayers are vocalized, whether they are whispered, chanted, spoken or sung. It is the simple fact that sound amplifies the power of prayer! Through toning together for events such as World Sound Healing Day, or for this Winter Solstice 2012, we can actually affect the very fiber of reality, creating global shift and change on a monumental level. We can alter the frequencies of our planet, uplifting and helping awaken the consciousness of those upon it in order to embrace unconditional love and compassion. 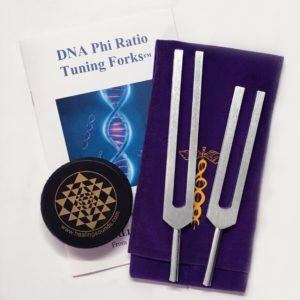 Here, I’d like to refer you to an earlier blog, which also deals with this subject of using sound to effect Global Consciousness called “Healing the Earth Through Global Sound”. When we project intentionalized sound in this manner, we help make change. We help bring our awareness from one of duality to one of singularity. We go from competition to cooperation. We go from fear to love. All of these things can occur simply through working with the power of globally encoded sounds. Remember: we heal the planet, we heal ourselves; we heal ourselves and we heal the planet. As we emerge into 2013, we are at a time in our evolutionary development when we can literally shift our global vibrations through our Light, our Love and our Sound. What a blessing! There will be many different gatherings and celebrations of the new birthing of our planet that many perceive will occur on December 21, 2012. For myself, it is my great honor to be part of the event Uplift 2012, taking place, December 20-23, 2012 in Byron Bay, Australia. This will be among the first places where the Winter Solstice will chronologically occur. Amidst all the extraordinary presentations taking place, my wife Andi & I will be leading a Global Tone taking place at the exact time of the Winter Solstice that will initiate 24 hours of sounding, as we project an “AH” encoded with the energy of Love & Compassion in order to assist the awakening and evolution of our beloved planet and all the beings on it. I trust you will be able to join in during this time and help co-create a new reality for ourselves and the Earth. Let’s hear from you about your thoughts and plans for December 21, 2012 and beyond. 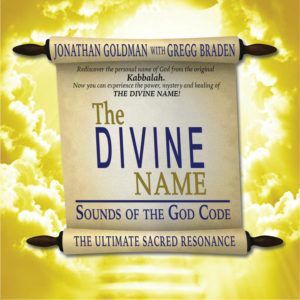 PreviousPrevious post:John Beaulieu is Jonathan Goldman’s Guest on the Healing Sounds ShowNextNext post:What is a Merkaba of Sound?